The Nasarawa State Polytechnic, Lafia, NASPOLY Orientation and Matriculation Ceremony for Newly Admitted Students for the 2017/2018 Academic Session. 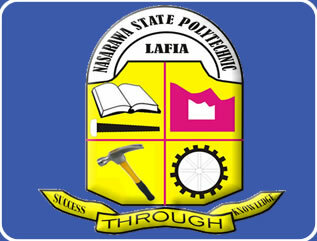 The Management of Nasarawa State Polytechnic, Lafia has announced the matriculation and orientation date for all newly admitted students for the 2017/2018 academic session. The Orientation and Matriculation Ceremony for new students is scheduled to hold on Monday 21st May, 2018. The Orientation Programme is for all categories of Students namely PRE-ND, ND 1 and HND 1, while the Matriculation Ceremony is purely for ND1 and HND 1. Time are scheduled for 9am and 10am respectively. The two events will hold at the Old Admin Block, close to Hall 1 lecture room. All Students and Staff are to be seated at 8:30am. The affected Students for Matriculation are to collect Academic Gowns from Friday to Sunday at the Old Students Affairs office on presentation of Registration receipts. The gowns are to be returned on Tuesday May 22 unfailingly. In view of the importance of the events, Monday has been declared Lecture-Free day, to enable Staff and Students participate in the events. This however, does not affect Examinations for Consultancy Students. Regular and Special Students are reminded that Examinations for First Semester will commence on Thursday May 24, 2018. Only registered Students would be allowed into Examination Halls.